For over 50 years the lawn has been an integral part of the landscape. In many ways it can be viewed as the canvas of the landscape. Lawns are used to define the shape of an area, provide pathways between landscape beds, and for designating play areas. Luckily, Carolina residents have several turfgrass species to choose from to suit their landscape needs. Cultural requirements vary for each turfgrass species, meaning that some perform better in certain regions of the Carolinas versus others. So, knowing your region and climate will give you a preliminary list of turfgrasses to choose from (see Table 1). Table 1. Turfgrass Species Recommendations by Region. Selecting the best turfgrass species for your site conditions is the first step in establishing an attractive and problem-free lawn. Start by evaluating your site conditions. These include seasonal temperature extremes, moisture availability, possible saltwater problems, possible drainage issues, amount of sun or shade, and soil type, including its chemical and physical makeup. Even though a particular turfgrass species may be adapted to your region, differing environmental conditions on your specific site will influence how well one turf species will perform over another. Table 2 shows a listing of turfgrass species recommended for South Carolina and their characteristics. Next, determine the amount of foot traffic you anticipate the area will receive. Certain grasses will continue to grow better and will recover from damage better than others after being walked or played upon. It is also important to make note of the proximity of tree roots to the lawn area. Avoid planting a lawn in areas with tree roots. 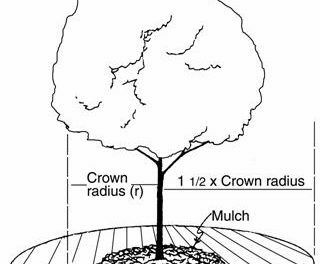 Instead, extend the mulched area underneath trees to a width of 2 to 3 times wider than the tree canopy. Sculpt your turf areas into places where grass is needed and where it can grow without added problems. Next, determine what level of maintenance you plan to commit to in caring for the lawn. Some species require more frequent mowing, fertilizing, and watering than others. Higher maintenance grasses, such as bermudagrass, St. Augustinegrass, and zoysiagrass, also have a higher tendency for thatch development. Thatch is the spongy build-up of sloughed-off plant matter between the soil surface and green grass leaves. Contrary to popular belief, grass clippings do not contribute to thatch. When the thatch layer builds up beyond ½” thick, it will cause a decrease in turf vigor by restricting the movement of air, water, fertilizer and pesticides into the soil. Excessive thatch also restricts root development, provides a favorable environment for insect and disease development, and may result in winter kill of sections of the lawn. Once actively growing and fully out of dormancy, grasses with thick thatch layers will need to be monitored and dethatched as needed in the month of May. For more information on controlling thatch refer to fact sheet HGIC 2360, Controlling Thatch in Lawns. See Table 3 for maintenance details by species. Table 2. Adaptations & Characteristics of Turfgrasses for South Carolina. 1 Can be seeded. Only 2 cultivars of zoysiagrass are available as seed: Zenith and Compadre. 2 Cold hardiness: TifBlair cultivar of centipedegrass has more cold hardiness than common centipedegrass. Palmetto, Raleigh, and Mercedes cultivars of St Augustinegrass have the most cold hardiness of that species. Do not fertilize with nitrogen in the fall as this may increase cold injury. 3 Shade tolerances: All turfgrasses grow best in full sun. Some can tolerate as little as 4 to 6 hours of direct sunlight per day, including St. Augustinegrass, zoysiagrass, and tall fescue. TifGrand bermudagrass can tolerate some shade. 4 Establishment rate is dictated by planting dates, seeding and planting rate, intensity of culture, and environment. 5 Mowing heights: Turfgrasses should be cut taller if grown in partial shade. Turfgrasses mowed at the tallest height of their range will grow deeper root systems and tolerate drought better. A reel mower may need to be used on zoysiagrass if it will be mowed below 2”. Most zoysiagrass cultivars can be mowed with a sharp bladed rotary mower as low as 2”. 6 Thatch control: Do not fertilize lawns excessively, as this can increase thatch development. Follow soil test recommendations for lime applications, which will enhance microbial activity and help reduce thatch. Likewise, top dressing lawns with compost or other organic matter can help stimulate microbial activity and reduce thatch. Note: Some improved cultivars are better adapted and more pleasing in appearance than the comparison rating provided for a given lawn grass. Excerpted from the South Carolina Master Gardener Training Manual (EC 678); Southern Lawns, Bert McCarty, ed., Clemson University; and personal communication with Bert McCarty, Clemson. Drought tolerance is an important factor to consider in any region of the Carolinas and can be seen as the ability to remain viable during a drought or the ability to recover if damage occurs from droughty conditions. Bermudagrass and zoysiagrass have the best drought tolerance, tall fescue and St. Augustinegrass have a moderate drought tolerance and centipedegrass has the poorest. Regardless of turfgrass species, drought tolerance is improved by following proper maintenance techniques. Maintaining the proper height for your turfgrass species will encourage a healthy lawn. 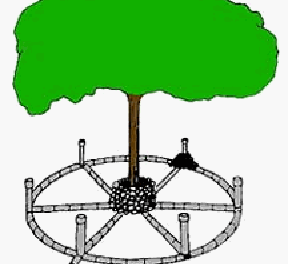 Only 1/3 or less of the leaf blade should be removed at a time (see Figure 1). For example, when a St. Augustine-grass lawn reaches 3 inches tall, it should be mowed to the recommended 2-inch height. If lawns are scalped by mowing too low, the roots can be damaged which will require more frequent irrigation. Never mow when the grass is wet, and always use sharp mower blades. Tall fescue and St. Augustinegrass grown under shady conditions may benefit from being allowed to grow to the upper end of their mowing height range. Figure 1: Grass height diagram. Keep in mind that mowing height recommendations are just that recommendations. You will need to determine what mowing height works better for your particular grass under your specific growing conditions. In general, warm-season grass should be mowed as low as possible without scalping. Lower mowing heights will encourage more lateral growth. Cool-season grasses should be mowed within the specified recommended range, but the height raised during the heat of summer. Mowing height is determined by using a bench mark height. With the mower off, measure from a flat surface to the blade. This will give you the height you are mowing your turf. 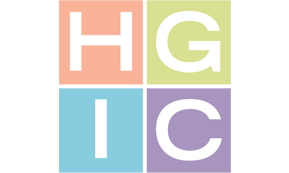 For more information on mowing lawns refer to fact sheet HGIC 1205, Mowing Lawns. To encourage drought tolerance, irrigate the lawn deeply and less frequently to encourage deep root development. Lawns and landscapes need about one inch of water a week in the mountains and piedmont and about 1½ to 2 inches in the sandhills and coastal plain. The amount of water a turf will need per week will depend on several factors including environmental conditions, soil type, turf type, and management regime. Simplistically, when the entire lawn shows signs of moisture stress, water the lawn. Afterwards, wait until the lawn shows moisture stress again before watering. If the lawn looks dry, then water. If the lawn does not look dry, then do not water. You may see signs of certain small areas of the turf that tend to dry out quicker than most of the other lawn. These spots are call ‘localized dry spots’ and can occur for any of several reasons. These areas can be hand watered as needed without the need to turn on the entire irrigation system, which waters areas that do not need to be watered. Water should be applied early in the morning to promote the growth of deep roots, to minimize evaporation, and to reduce the chances of fungal disease development. If you are not sure how to tell when the lawn needs water, you can use one of two methods. First, examine the lawn using foot printing. Walk across the lawn and look back to see if your footprints appear. Footprints will appear in the lawn when it needs to be irrigated. The low levels of water in the leaf blades prevent the grass blades from springing back up when walked on. The second method is done by pushing a screwdriver into the soil. If the soil is dry, the screwdriver will be difficult to push into the soil, which indicates that irrigation is needed. For more information on irrigating lawns refer to fact sheet HGIC 1207, Watering Lawns. Ideally a soil test should be performed to determine what fertilizer is needed according to the turfgrass species. Then, use a slow-release fertilizer according to soil test results. A slow release fertilizer is long lasting and less likely to burn the grass blades. Fertilize the lawn when grass is dry and water it in thoroughly after application. Warm-season turfgrasses (bermudagrass, centipedegrass, St. Augustinegrass, and zoysiagrass) should be fertilized during the warm months typically May through August. Do not fertilize warm-season grasses before they are fully greened up in the late spring, or after August 15th except for the Coastal Region, where you can fertilize until September 1st. Do not apply high-nitrogen winterizer fertilizers during the fall. Cool-season turfgrass (tall fescue) should be fertilized in late September, early November and late February. In the absence of a soil test, follow the fertilizer guidelines in Table 3. Be careful when using ‘weed and feed’ fertilizers. These products contain both a fertilizer and herbicide for weed control. Some of these products may have a high percentage of nitrogen not necessarily needed for some situations. Additionally, the timing for herbicide applications may not always coincide with the recommended fertilization schedule. For more information on fertilizing lawns refer to fact sheet HGIC 1201, Fertilizing Lawns. Table 3. Fertilization of Turfgrasses. * At the above rates of fertilizer, bermudagrass and tall fescue are each typically fertilized 3 times per year. St. Augustinegrass and zoysiagrass are fertilized 2 to 3 per year. Centipedegrass is typically fertilized 1 to 2 times per year in the Upstate, and 2 to 3 times per year on the coast when grown on very sandy soils. Coastal soils in Horry, Charleston, and Beaufort counties may contain excessive levels of phosphorus. Test the soil to determine nutrient levels. If phosphorus levels are high or excessive, use a 15-0-15 fertilizer for all turfgrass species in those sites. Fertilizer recommendations can be highly variable from site to site based on soil type and management regime. Planning ahead and following the proper maintenance steps will provide you with a healthy Carolina lawn.